CONVICTED COAL BARON: ‘I AM AN AMERICAN POLITICAL PRISONER” | "Global Possibilities"
Former Massey CEO Don Blankenship releases a 67-page booklet from federal prison. Don Blankenship, the former CEO of Massey Energy who is currently serving a one-year sentence in federal prison for conspiring to violate safety standards, is defending himself in the form of a 67-page booklet, “American Political Prisoner,” the Wall Street Journal reported. Nonetheless, Blankenship seems intent on casting himself as the victim with his new booklet, of which he intends to mail 250,000 copies this week. The PDF is also available online. Blankenship also commissioned a documentary in 2014, Upper Big Branch — Never Again, in which he and various consultants attribute the explosion to a freak surge of natural gas. Blankenship’s impact on West Virginia and the coal industry will endure far beyond his one-year prison term. As Timothy Murphy chronicled in Mother Jones last year, the coal baron took care to present himself as a true son of West Virginia, an honest entrepreneur from humble beginnings who became a self-made success story. But the reality is far different. 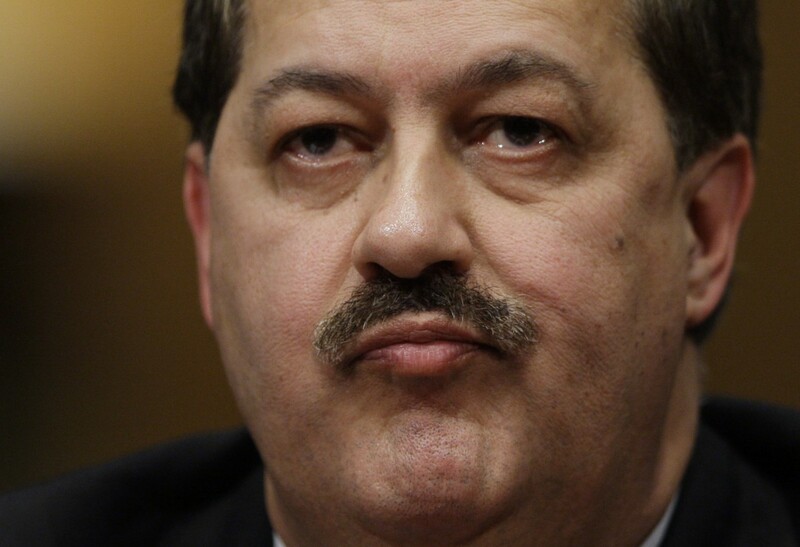 With his gaze fixed on the bottom line, Blankenship crushed the mine workers union that was baptized in his backyard. Voluminous court records and government investigations show that he presided over a company that padded its profits by running some of the most dangerous workplaces in the country. Massey polluted the waterways that had sustained Blankenship’s forebears, rained coal dust on the schoolyards where his miners’ children played, and subjected the men he grew up with in southern West Virginia to unsafe working conditions. Blankenship also used his wealth to attain political influence, donating heavily to Republican committees and candidates (a list that features several climate change deniers and Environmental Protection Agency haters), and to reshape the political balance of the West Virginia Supreme Court before it took up his appeal of a $50 million fraud suit (he won that appeal). Before being indicted, he openly touted his disapproval of President Obama and the EPA, and continued to deny that humans had any role in climate change.